Charlotte Van & Storage has always been a family-owned and operated business. As a family, we were honored when Frank Watson, III, whose father started the business, was awarded the “Dennis T. Lawson Memorial Award.” The honor is bestowed upon one person each year who was a supporter of the museum profession in North Carolina. He was proud of our North Carolina moving company, but his reach into the community extended far beyond his work with the business. He supported museums throughout the state and beyond. As he attended various trade shows and museum-sponsored events, he made friends and touched the lives of the many wonderful people he met along the way. His son, Frank IV, accepted the “Dennis T. Lawson Memorial Award” on behalf of his father, and it was an honor for him and for the entire family. We are thankful to the community who loved Frank III and who shared many wonderful memories of him. Below are excerpts from just a few of the letters penned about this generous, kind, and loving man. 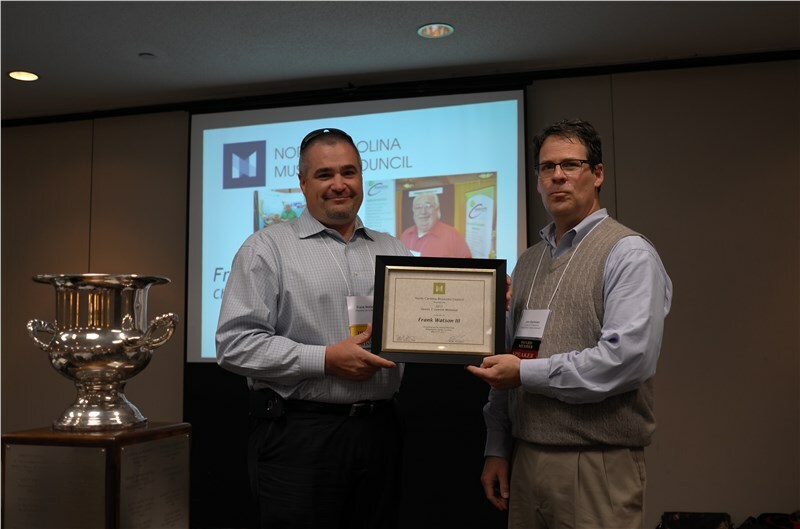 Thank you to the North Carolina Museums Council. We are grateful both for this award and for the reminder about how many lives Frank III touched.